Graphic designer Yannis Karlopoulos is an obsessed collector in search of content. “Τhere is no graphic design as style, content always comes first!”, he insisted stating even before I could utter my first question. That would be my fourth question anyways. Born in northern Greece and a resident of Athens for the last thirty years, he has changed over six houses and experienced quite contradicting areas in the centre of the city. We met in the residential quarter of Petralona, at his studio which one can easily name a cabinet of design curiosities. The walls, shelves, drawers, even door handles, were all fully occupied by branded objects. While waiting for my tea to boil, I took the time to look for their invisible curation plan. Why did he place a Hilton plate next to a Fix beer glass bottle? How could signs from patisseries live next to football calendars? And most importantly, where did he discover all these stuff, that instead of being cheap and kitschy, were portraying a wide spectrum of Greek graphic design history. 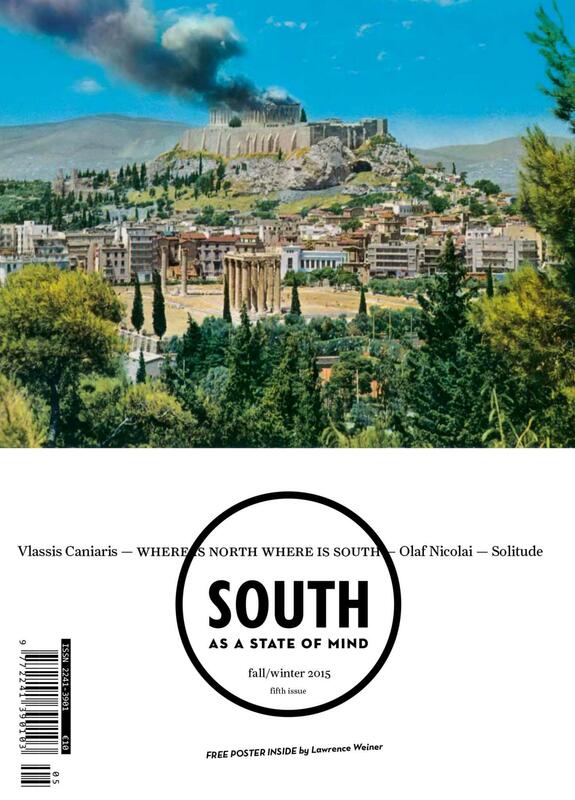 South as a state of mind Magazine, Issue 05. Creative direction Yannis Karlopoulos (issues 1-5). Cover illustration, Yannis Karlopoulos from the News from the Past series. Visiting flea markets seeking for content is a very important part of your work. What do you keep in mind when choosing objects to collect? I am not collecting objects, but memory fragments. These objects contain the notion of time and speak to me about unremembered life stories. I am deeply interested in the concept of memory, not in the ways it is related to the idea of retro or vintage, rather than to the process of sourcing. Looking at what others did before us. 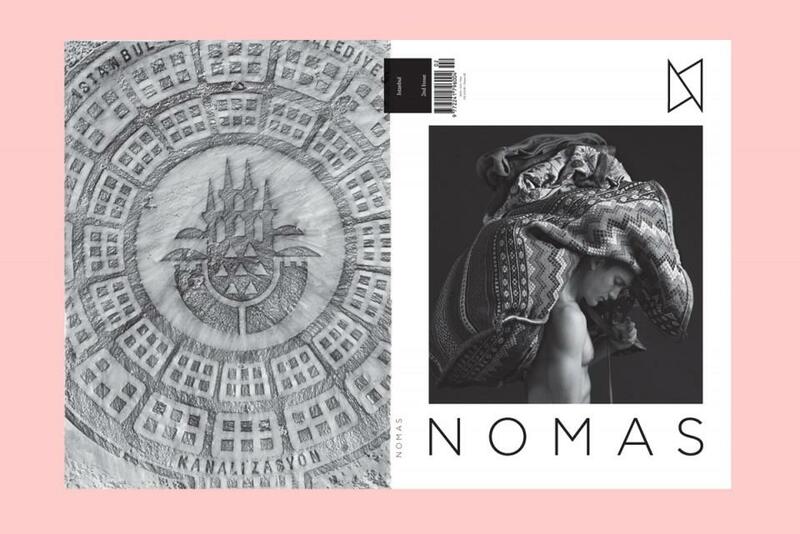 NOMAS magazine Istanbul issue, photography Yannis Bournias. 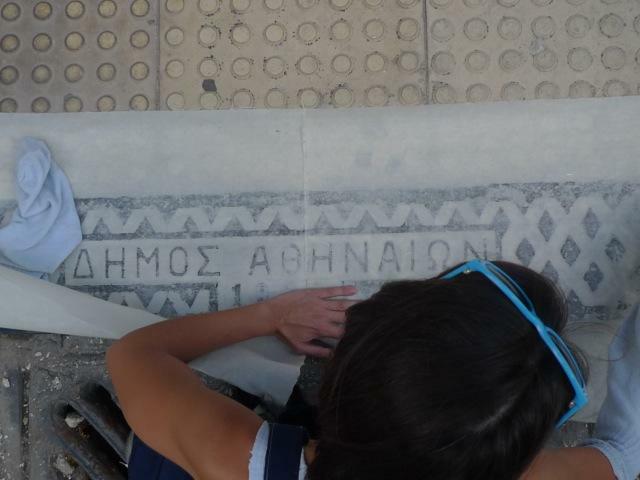 You have lived in many different areas in the centre of Athens, do you have an image for the Athenian identity? Athens suffers from loss. A mourn for the lost homelands. A collision of losses. This is what keeps us from loving this place. During 19th century romanticism, Athens was seen as the exotic fruit, the origin of the western civilisation. Western people projected their ideals on a city mostly inhabited by villagers, along with the wish to humanise it. Today, we can go back to the work of writers that visited 19th century Athens and source detailed topographical and anthropological information about it. The problem is that now, two centuries later, we are still trying to match that manufactured image they created for us. Timeless Diary. 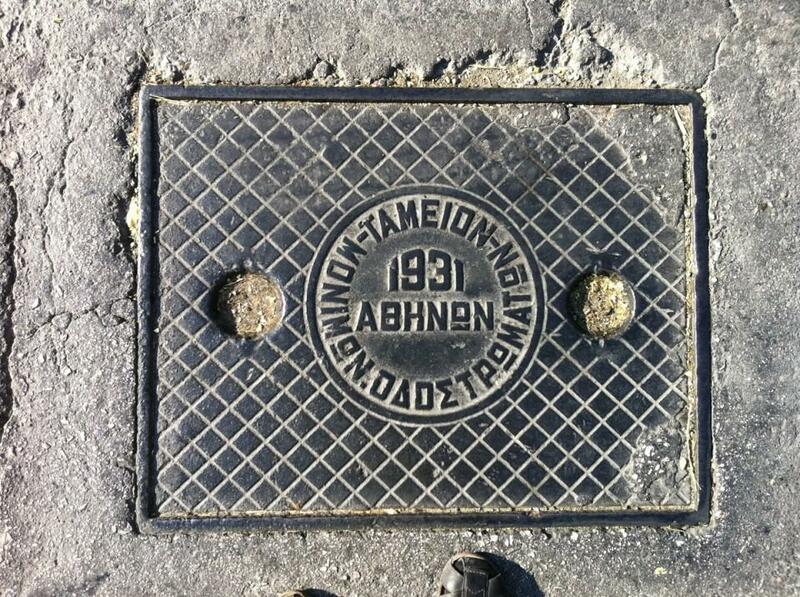 Manually printed manhole covers found in the center of Athens, by Ira Spagadorou. In Athens, at the end of the 1950s, designer Freddie Carabott (half-greek)collaborated with local artists Michalis and Agni Katzouraki to redefine the Greek identity through the Greek Tourism Organisation’s and the Athens Festival’s posters. But if there is something worth mentioning as an Athenian identity, it is the element of spontaneity and ingenuity. The folk elements, like the store signage design from different eras for example. In order to identify with this image as Athenians, we should begin to collect the sources and reinvent narratives. 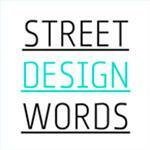 What made you start a project about the city’s manholes? I am a fan of the pop and the ready made. 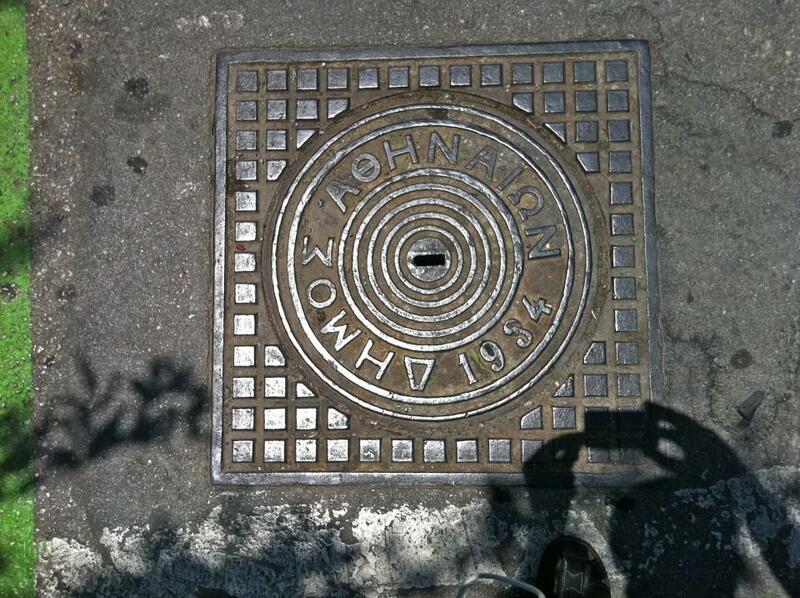 The manholes in a way represented an institutional ready made. I like to detect the mislaid, the socially prudish. 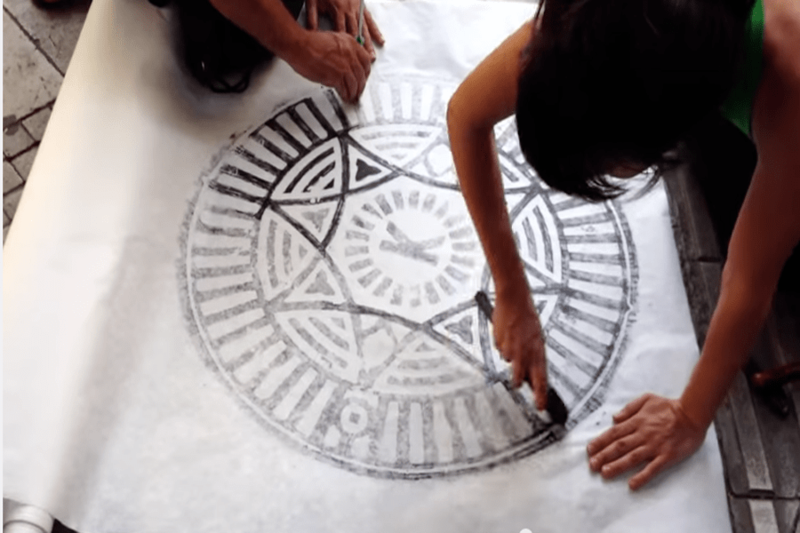 What is more, the manholes as objects, bear a close resemblance to the printing process. They look like inverted printing plates (clichés). 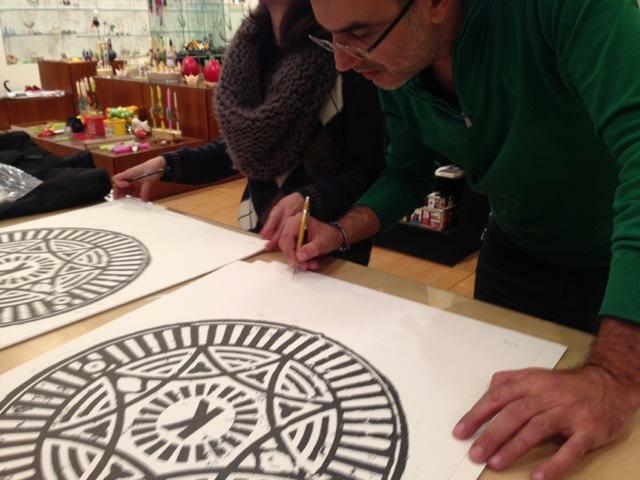 Together with engraver Ira Spagadorou, we share a common interest in imprinting. Ira’s dissertation project elaborated on the idea of mapping 50 meters of sidewalk on Fyllis street, one of the most bourgeois streets of old Athens, now degraded, hosting prostitution. The sidewalk’s history goes back almost 100 years, since some tiles have never been replaced. Today it is a mix of old and new, which materialises as a combination of marble and concrete. Around the same time, I was busy with “frottage”, the technique of tracing a form from an uneven surface to a piece of paper, by rubbing with graphite. 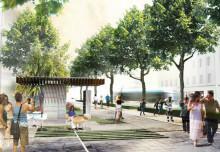 You can find an example of this project at the back cover of Nomas’ magazine Istanbul Issue. 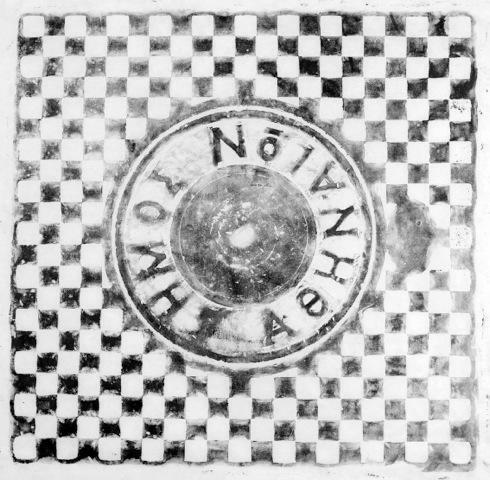 This technique is commonly used by archaeologists, architects and artists, when one needs to take an imprint from a non-moving object. 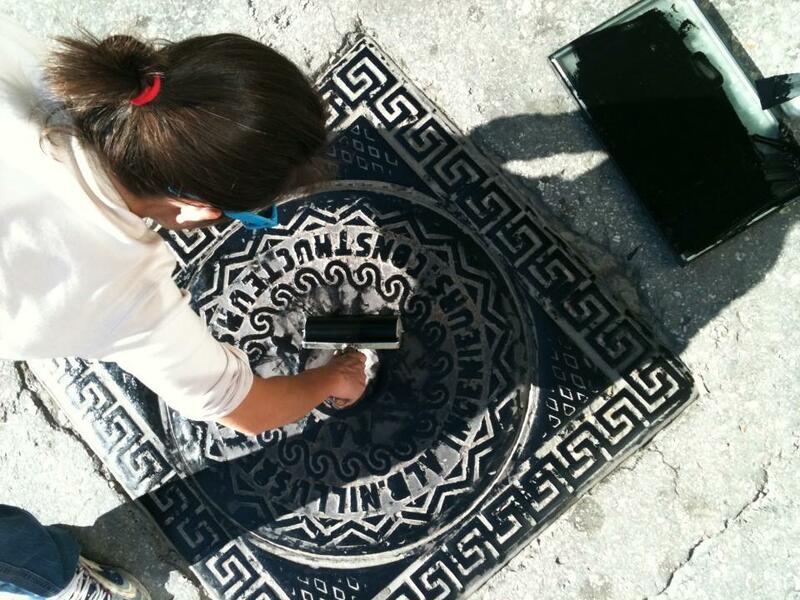 By putting ink on the Athenian manholes and transferring it on paper, we started collecting their various designs. With City Prints you are tracing the history of the city. I had the urge to find the manholes’ traces and then their typographical sources which reveal how the public sector worked back then, the production processes and the techniques. Combined this information tells the story of the evolution of the city and the ways it failed to be industrialized. If you see examples of manholes in Japan and France, they look like huge crafted jewels in the middle of the city, although they were mass produced. Do you think that bad design came with mass production? The different tools and the level of difficulty or sophistication related to their application, is what determines or influences aesthetics. Bad design is just bad use of tools. When ignoring or underestimating the extend of ones technical capabilities, the content gets pushed down to a secondary role. Good design is a calculus, a conclusion of logical sequence, where the designer is the servant of the content. In Greece though, the designer is more like a wanderer with no industrial fabrication mentality. We are not used to creating models and systems. More often than not we go for the quick and easy way. 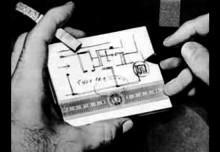 We may have missed on industrialization, but we have also forgotten the obsession with design. Which is your favourite book or film related to cities and why? Greek writer Yannis Maris and the films based on his books (the Raymond Chandler of Greece) and of course Agelastos Petra (Η Αγέλαστος Πέτρα, 2000), the documentary film about the city of Elefsina by Filippos Koutsaftis. 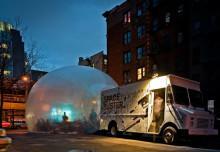 Spacebuster by Raumlabor returns at Ideas City festival in New York. When architectural competitions spur creativity: urban gestures in Athens during the 60’s.